This is based on a children’s book of the same name by Deborah Ellis, which was first published in 2000. It is a Cartoon Saloon production, the team responsible for such gems as the Song of the Sea and the Secret of Kells. It was nominated for the Best Animated Film in the Academy Awards this year and is just about to be released on our shores. The setting is Afghanistan and the year is 2001. The Taliban have taken power and there have been massive changes to society. Parvana is a young girl living with her family. When her father Nurullah is arrested for an unspecified crime, the family are left without a male member other than for an infant child. As women are not permitted to leave the house except when accompanied by a man, they are left in an impossible situation. They come up with an unusual solution when Parvana decides to dress and act as a young boy, so that she can get food and water. She becomes the Breadwinner of the family! 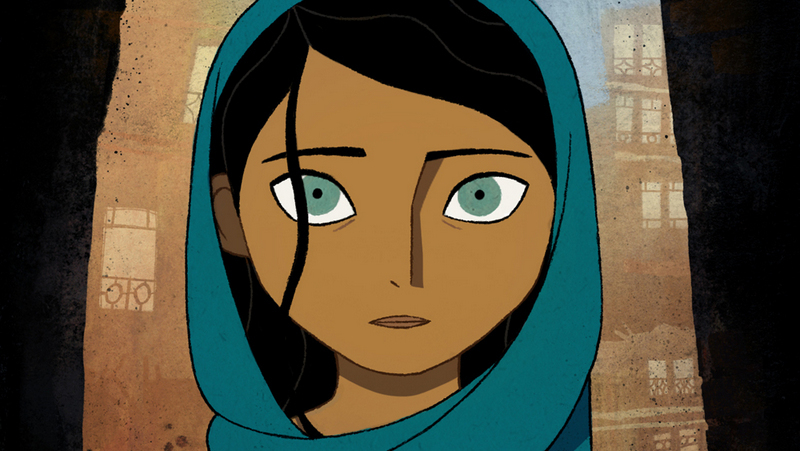 This is another beautifully animated production from the team at Cartoon Saloon. The different strands of the story allow them to show off their artistic abilities. The film probably isn’t suited to younger children, which makes it quite niche. It is better suited to young adults or older age groups. While there is nothing too shocking in the film, the story is quite complex and modern day Afghanistan is rarely the setting for children’s stories! It does give a real insight into the difficulties of people living under a repressive regime. While it never hits the heights of their wonderful ‘Song of the Sea’ it does explore a different and much more elaborate world. The story is sad and griping to the very end, and don’t be surprised if there are a few tears shed. It is great to see work of this style and substance being produced in Ireland. There’s more going on in Kilkenny than hurling!